Before you hire a private investigator to help with your case, it is important that you know three things that will help in a successful investigation. The objective of investigation varies depending on each individuals case. These three tips will get you started on the right foot and on the road to a successful investigation. The more information you can give your investigator up front the faster you’ll see results. People often underestimate the effectiveness of small details and inside information that only they can know. Does the target drink at the same bar on a regular basis? Do you have a mutual friend that would be of assistance? Do you have access to a source of information off limits to others? Before you contact a PI, make a list of things that you think will be useful for the type of investigation you need. Some of the best information includes full name (including middle initial), addresses, vehicles, date of birth, social security number, license plate numbers, employer, physical description, daily routine, and photographs. Spouses generally have this type of access. In other cases, people won’t have access to all of this information. Relax. That’s what you’re hiring us for. The fact of the matter is that money is a limiting factor for most of us. Combine that with the fact that private investigations tend to be a little pricy and the need for someone who understands how to effectively work within a budget grows immensely. There are many ways to approach an investigation in a cost-conscious manner. For instance, instead of starting surveillance right away, use a GPS Tracker to outline the target’s schedule. That way, when you do send investigators into the field they have a specific time-frame they know that the target is active. On the other hand, I have seen many people waste money in an effort to avoid spending it. Let me explain. I recently had a case with a client who was suspicious of his wife. He was on a budget and I suggested that we install a tracker on her car so we could get an idea of what she was up to before we spent surveillance hours in the field. The client loved this idea so much that almost two months went by before he agreed to put us in the field. The daily reports from the tracking unit only led to more questions. I explained that the only way to make sense of the activity that we were seeing on the GPS reports was to begin surveillance. The client thought he was saving money by sticking with the tracker and avoiding surveillance. In the end, he spent his whole budget on the tracker and never got answers to his questions because he wouldn’t pull the trigger on surveillance. I warned him that his strategy was going to backfire and it did. On the other side, there are people who think throwing money at a problem will inevitably solve it. This isn’t any smarter. Proper investigations take careful planning, patience, and money spent on the right combination of things. 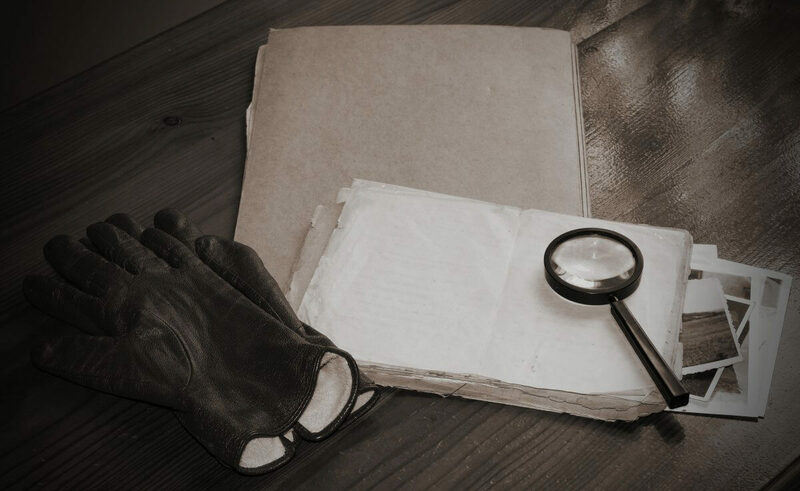 All the reason why a seasoned investigator is of the utmost importance. It is understandable why people get emotional during the course of an investigation. The reality is that people are often finding out that their lovers have betrayed them, employees are stealing from them, or their children are doing everything they hoped they never would. That being said, one of the most critical elements to a successful investigation is to remain covert. For the investigator, this entails a variety of things that require a high level of skill, competence, and experience. For the client, the number one goal is to remain calm. For every ten investigations, I would say that one or two were blown by a client who lost their cool. This past summer, I showed photos to a client of her cheating husband kissing his co-worker at an after-hours bar and two days later I was getting a call that she would no longer be needing our services. Fortunately for her, she had some evidence. Other clients have not been so lucky. We often see clients fighting with their spouses and questioning them at the first sign of evidence. Next thing you know, the spouse is onto us and all of our efforts are wasted. The most important thing a client can do once we start gathering evidence it to patiently wait for the investigation to conclude. It’s amazing what some people will deny even once they are faced with photographs of themselves caught in the act. The most successful outcome for any investigation is an overwhelming and undisputable pile of hard cold facts. The only way this can happen is through the calm and patient cooperation of our clients. When you are ready to start your investigation, consider these three tips to increase the chances of a successful investigation.